Kindas Amusement Source is the leader in Savannah and South Carolina for inflatable fun! 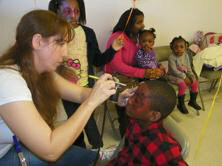 We provide only the best in Face Painting artists and Temporary Tattoos. We also provide face painting and tattoos. Browse the selections below and click on the image for more information and to make a reservation.